Rustic decor will never go out of style as it brings ultimate coziness not only with designs but also with the materials you use. 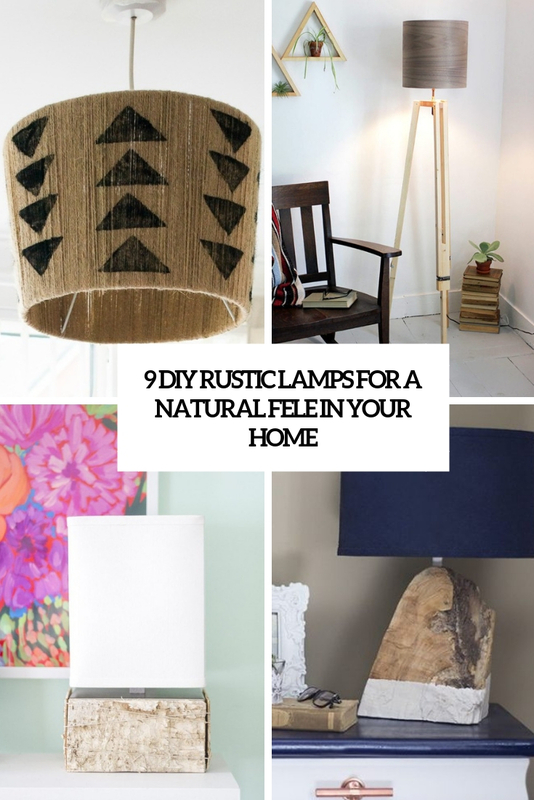 Add a cozy feel to your interior with a proper rustic lamp – a piece in the matching style for your interior, it may be modern, vintage, minimalist or any other, we’ve gathered them all! 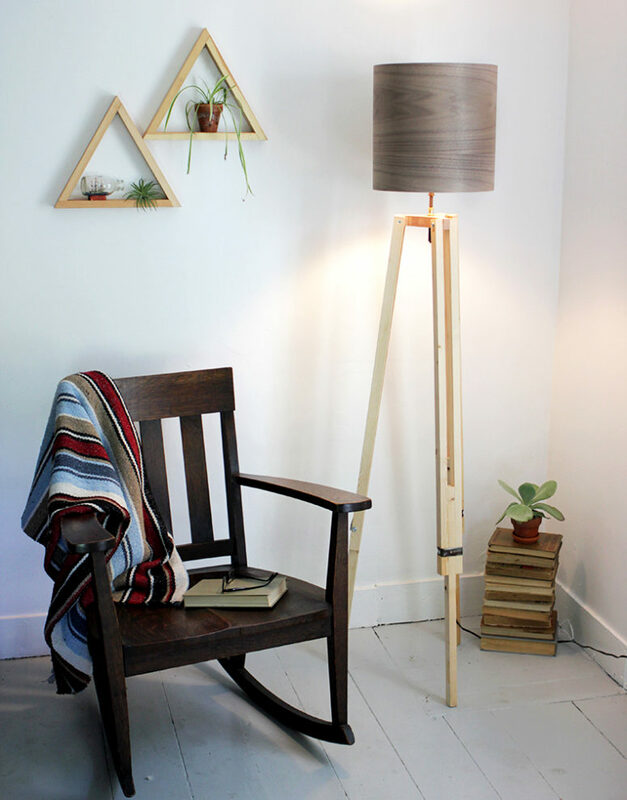 If you need a simple and laconic wooden lamp for your interior, this is your tutorial! 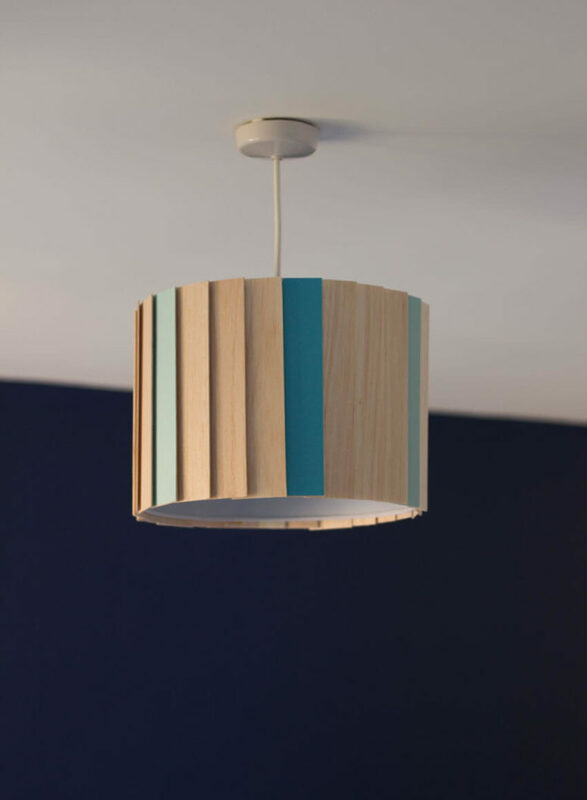 This lamp features wood, bold colors and geometric design, it’s a Scandinavian-style DIY wooden lampshade, made from slats of balsa wood and colored card. Making it is very easy and it’ll easily fit a contemporary, Nordic or minimalist space. Enjoy! 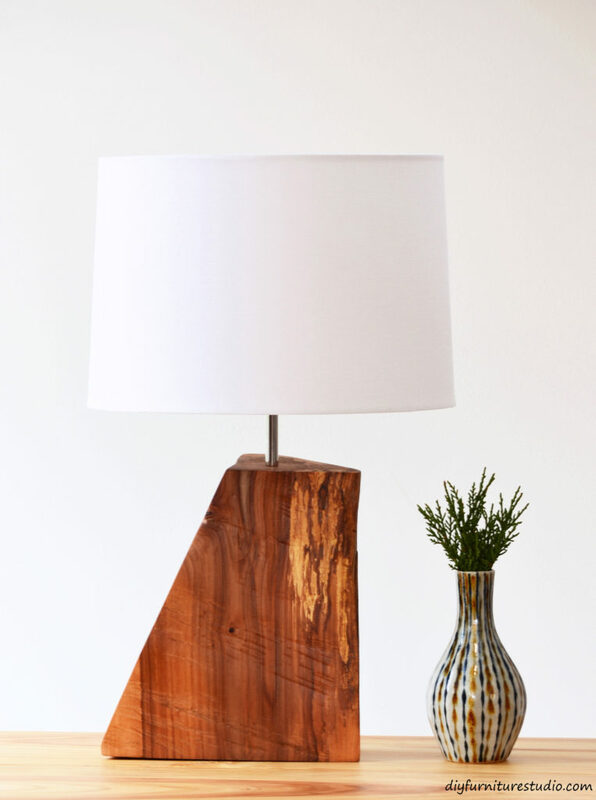 This wood table lamp is made of a piece of cedar tree and it features a living edge, which is extremely popular for decor right now. A lamp like this can work in many decor styles from rustic, to cabin chic, farmhouse, and even to mid-century modern. In addition to the wood, your choice of lampshade can really influence the overall “look” of a natural wood lamp. This is a real wooden basket turned into a rustic pendant lamp! 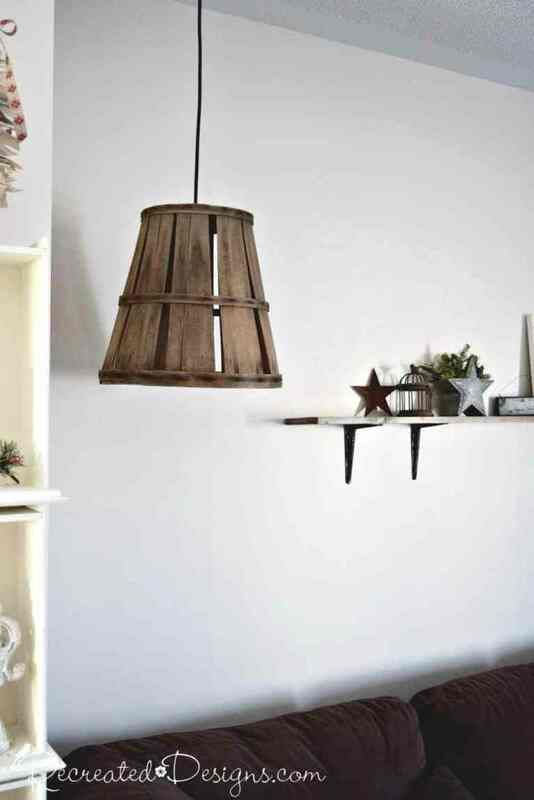 Ye, you won’t believe it but it’s true: the author converted a wooden basket into a lampshade! Such a lamp will fit a rustic, boho, tropical or some other relaxed interior, and you may paint or stain the basket however you want. Enjoy! This project will tell you how to turn a tasteless ugly lamp into a stylish rustic piece with a touch of vintage. The base of the lamp definitely had potential but the yellow brass with mauve accents made it look dated and cheap. 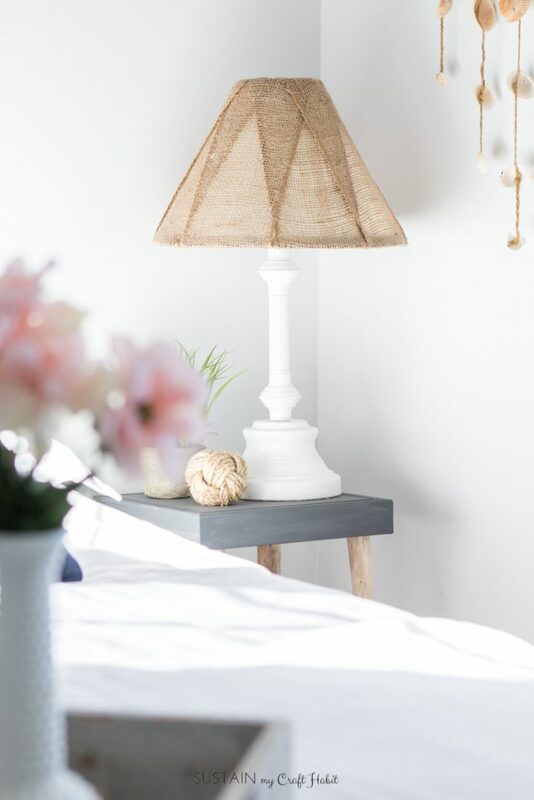 The materials were inexpensive, and the final result is pretty – it’s a vintage or shabby chic lamp with a strong rustic feel thanks to the burlap lampshade. So cool! 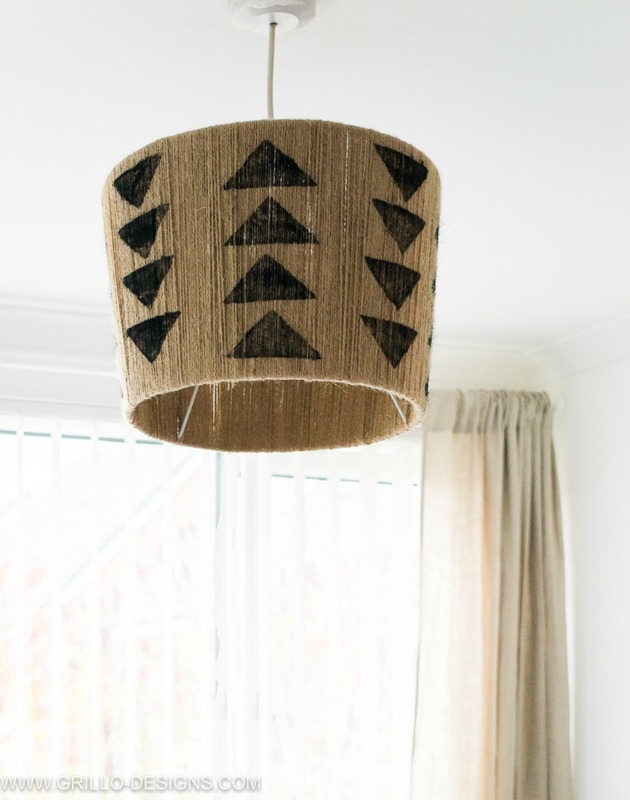 This DIY jute lampshade is a great way to add some rustic charm to your home! It requires a little patience but as far as making your own lampshades goes, this tutorial is pretty simple! Jute is great for decorating boho, mid-century modern, eclectic or rustic spaces, so such a lampshade will fit many interiors easily. Forget boring and plain table lamps! 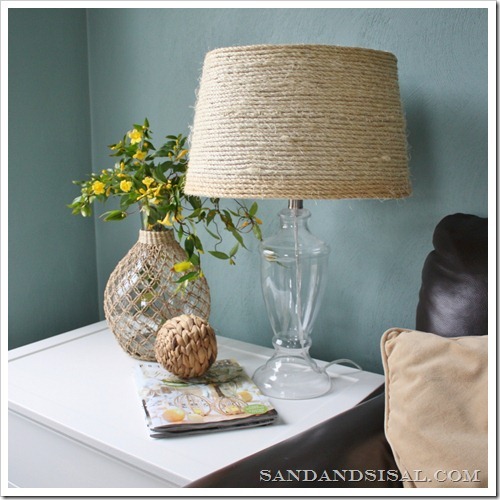 This tutorial will show you how to take a boring, plain lampshade and transform it into a custom sisal one. Decorating with natural fibers adds warmth and texture to your existing décor and using sisal rope is an easy and inexpensive choice. Such a lamp is a great fit for a vintage and rustic space and it will also match a beach home. It’s easy to give a modern, rectangular table lamp a rustic makeover using sheets of pliable birch bark to get a bit of cabin chic. 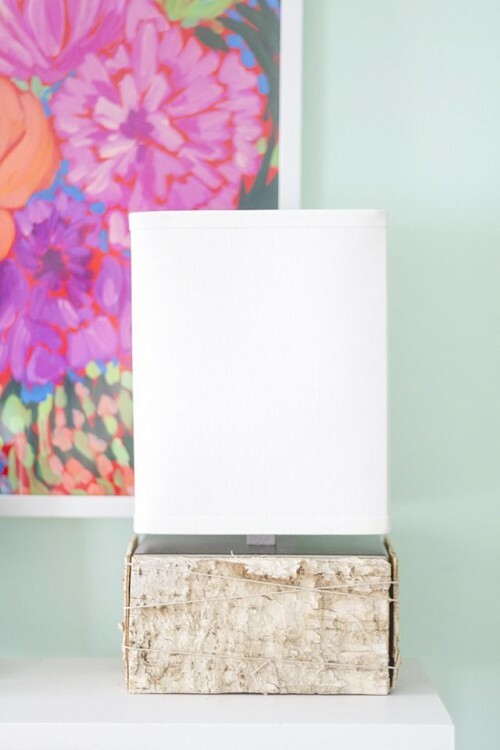 What I love about this table lamp is its unique look of a square neutral lampshade and a birch bark covered base – so fresh and so cozy! Tripod floor lamps are a cool idea for mid-century modern and just retro spaces, and you can make one with a rustic feel. You can find vintage wooden tripods on eBay or even Craigslist, but this tutorial will tell you how to make your own tripod. The lamp features a wood pattern lampshade, so it will also be a fit for a rustic interior. Read up! 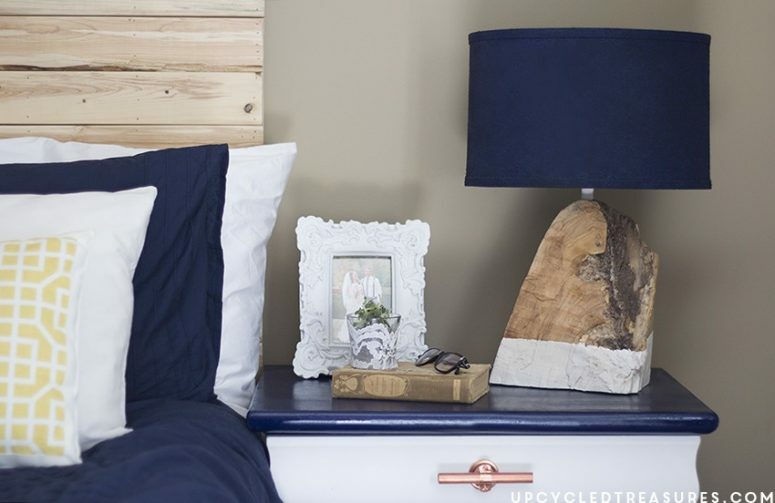 Turn a piece of salvaged wood into a stylish and gorgeous table lamp! Here’s another table lamp with a living edge and a contrasting plain lampshade, and I totally love this difference! Like it? Read how to make such a lamp easily in the source.